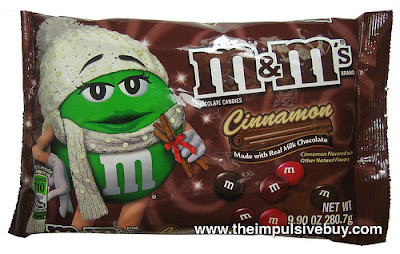 Obsessive Sweets: Wish List: M&M's Cinnamon! I am so excited to read the review of the new Cinnamon m&m's on The Impulsive Buy blog! Cinnamon and chocolate sound like a beautiful combination of flavors, especially for the winter season. Click here to read the review and please leave a comment if you see these for sale in New York! Must try! !